Hello, lovelies~ Last Sunday, I had a chocolate craving. A severe one. I thought of a place where they sell chocolates and remembered a small shop at Plaza Indonesia that specializes in chocolate. 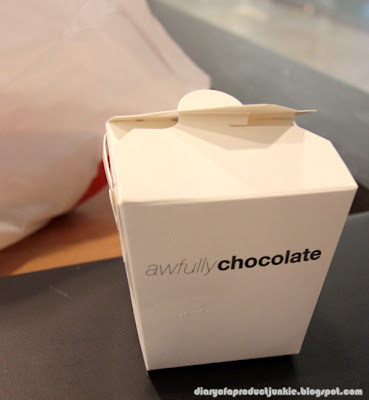 The store is called Awfully Chocolate. I first found out about this shop from AFC (Asian Food Channel) a few years ago. It was founded in Singapore and (thankfully!) it opened shop in my lovely town, Jakarta. I visited their store at Plaza Indonesia to get my hands (or mouth) on their delectable chocolate desserts. 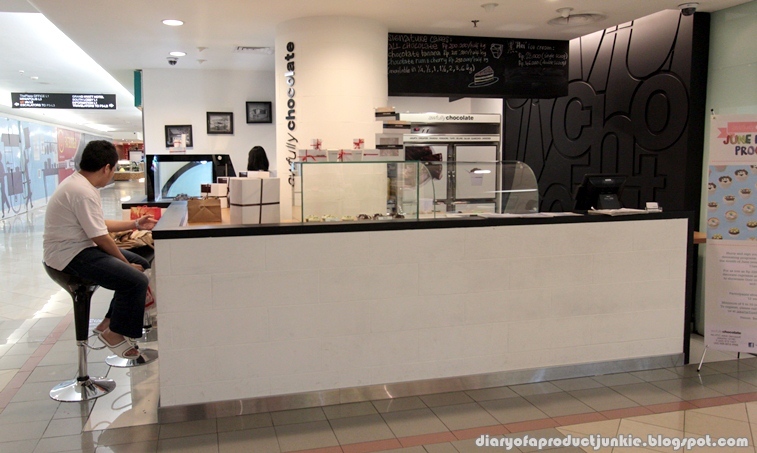 Since their speciality is chocolate, they have cakes, ice creams, truffles, cupcakes, etc. They also do customized cakes for special ocassions. I bought the super stacked chocolate cake, dark chocolate truffle and ice cream. The cake and truffle were meant to be eaten at home, while the ice cream accompanied me after a long day. 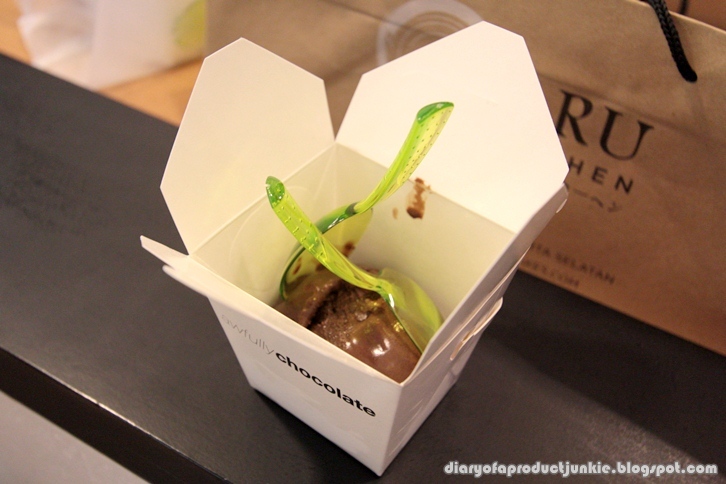 The HEI ice cream, or chocolate ice cream is served in a white, mini Chinese food take-out box with a see-through green spoon. Before I ate the ice cream, I can already smell the cocoa fragrance flowing from the small take-out box. As I scooped the ice cream with the cute spoon and into my mouth, I felt an instant increase in my mood. I felt calm and serene, as if I'm somewhere else enjoying my chocolate dessert. 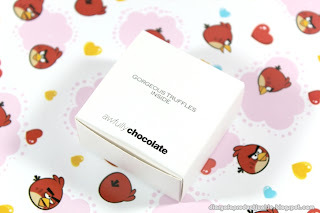 It is so creamy that my taste buds was overloaded with the alluring taste of chocolate. The sweetness is just right for me, hence a bittersweet taste was what I experienced yesterday. 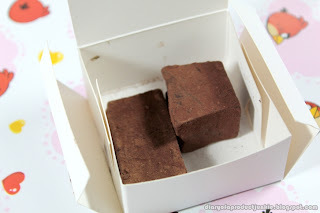 The dark chocolate truffle was packaged in a small white box that says "Gorgeous Truffles Inside". Even the boxes are so cute! The chocolate truffle is like any other truffles that has a dusting of unsweetened cocoa powder on the outside. It was more bitter than sweet as it contains more of the dark cocoa powder rather than sugar. The texture is soft and isn't hard to chew. The last dessert I bought was the chocolate cake. 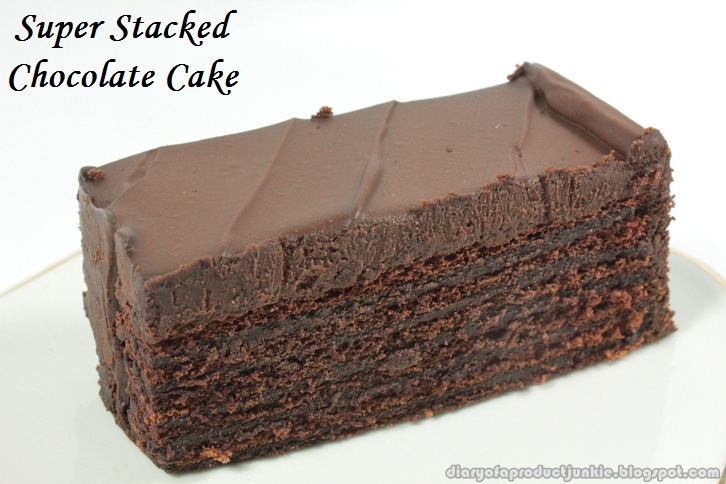 A squared slice of cake with a dark chocolate ganache and chocolate frosting in between the layers. The chocolate ganache on top reminds me of a chocolate bar that has around 50-60% cocoa. Not too sweet, not too bitter. 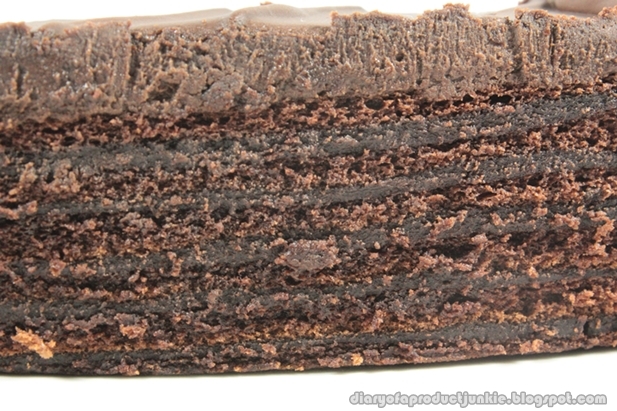 The chocolate frosting and the chocolate cake is a great combination, forming a mouthwatering taste. The chocolate cake is soft and moist, whilst the frosting is semi sweet. 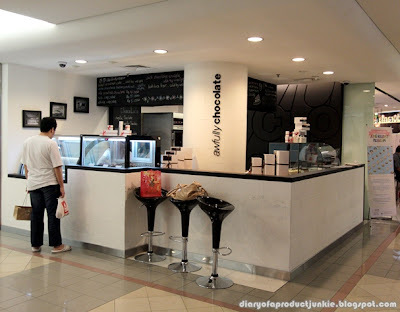 If you love chocolate and claim to be a chocolate aficionado, give this store a try. You may just find a new favorite dessert. Looks awfully good! I would so love to try some! Winda, kalo tinggalnya di sekitar jakarta utara sih macetnya ga terlalu ya ~ ^_^ hehehe..